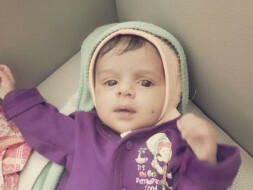 This 60-day-old baby needs an urgent surgery in the next 48 hours. 60-day-old baby Rehan is suffering from two congenital diseases affecting his liver and heart. He needs a surgery in the next 48 hours in order to survive. 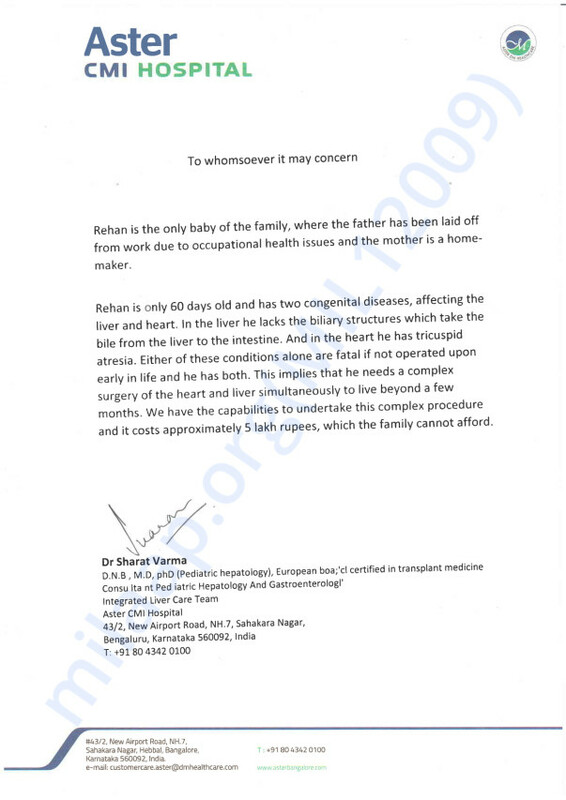 Rehan's parents are unable to afford the surgery and are looking for support to save their only son. 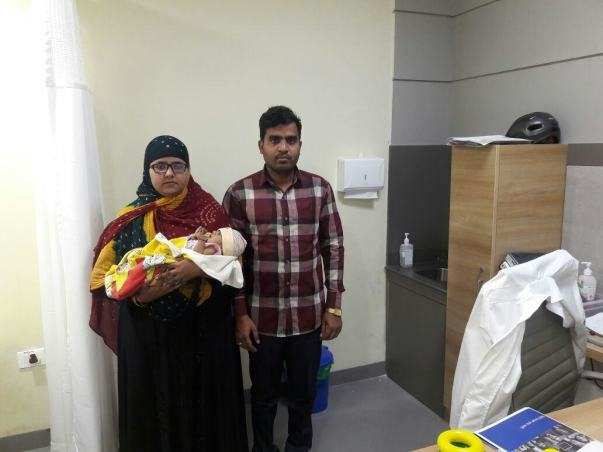 Rehan was just 10 days old when his parents took him to the hospital suspecting he has jaundice. "His body had turned yellow. We were really worried", says his father, Imran. Further medical tests confirmed that Rehan is suffering from liver and heart problems. The immediate treatment is a surgery. The cost of the surgery is 5 lakhs. Syed Imran used to work as a machine operator but he developed health issues due to the working conditions. Imran was asked to quit as he is not in good health. He is unemployed for the last four months. Imran was supported by his brothers for Rehan's treatment so far but now they have exhausted their funds. Left with no option, this father is looking for generous support. Rehan's life depends on the surgery. With our support, this baby can be saved. Funds raised will go towards his surgery. Unfortunately, with inexplicable grief, we're having to inform you all that baby Rehan passed away. He had severe heart and liver problems and even after giving him the best of treatment, he succumbed to the heart problems. The funds have been utilized for his treatment. Your support kept us going throughout and we shall forever be indebted to you. Thank you for extending support for little Rehan. He underwent a high risk cardiac surgery and a liver surgery at the same time to correct a complex congenital defect. Rehan had tolerated his initial surgery well, but then ran into complications due to low oxygen levels which interfered with his healing. He required two further surgeries to try and resolve the issue but he continued to have these problems and developed an abdominal infection. We had discussed his condition extensively with the family, who were very understanding of the situation. After these multiple attempts, the family chose to not proceed with any further intervention. I am deeply saddened to inform you that Rehan passed away on Friday at home. Despite the outcome, Rehan received the best chance possible which was not constrained by his economic means . This is more than most children in this position receive in our country and it is a direct result of your help . The family and the medical team are grateful to you , the donors. Your help gave him a fighting chance. Master Rehan underwent a combined cardiac and liver procedure last week. He tolerated it well and was shifted to the ICU. However, he has developed an abdominal infection and underwent a second surgery on Friday. He is back in the ICU now, still under critical monitoring. Thanks for your donations and wishes for this brave child. We will keep you posted . God bless the baby with speedy recovery.